There are over 80 national parks and 500 wildlife sanctuaries in India, which reflect the importance that the country places on nature and wildlife conservation. The variety of wildlife in India is incredibly diverse and being able to view these animals and birds in their natural habitat is an experience of a lifetime. Many vistors come to India wanting to see the majestic tiger. 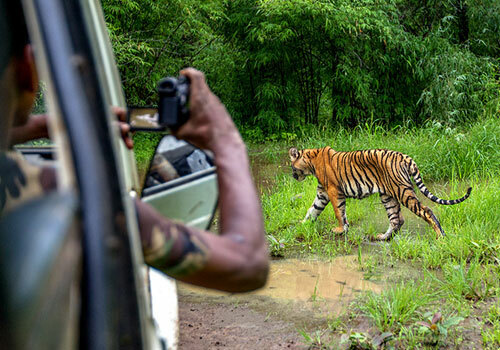 The chance of spotting a tiger greatly depends on the size of the national park and the number of tigers, and is higher at some parks than others. Here are some best national parks to see tigers and other wildlife in India. Ranthambore is a fascinating blend of history and nature. Inside the park is a formidable fort that was built in the 10th century and coveted by many rulers due to its strategic position between north and central India. This park is very popular due to its proximity to Delhi and the fact that tigers are relatively easy to spot here. 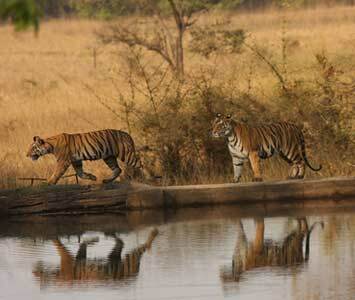 The Bandhavgarh reserve is located in Madhya Pradesh and as we know that M.P. 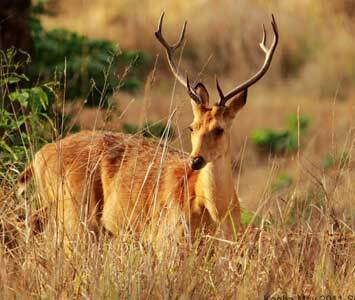 is rich in terms of greenery, Bandhavgarh National Park graces it without any hassles. The distinct identity of this park comes with its wide variety of animals and birds. The Corbett National Park is well known after the famous huntsman named James Edward Corbett who later turned as a conservationist of the area. The ambitious conservation project ‘Project Tiger’ was launched in the year 1971 and was successful. 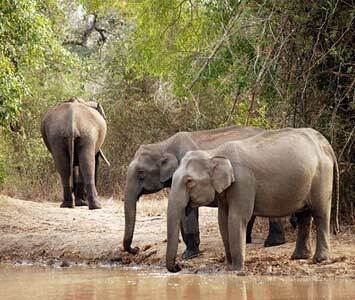 Kanha National Park is a world renowned for its population of tigers. Well, that is what makes it reign supreme in the eyes of travelers. What is so fascinating about this park is its sheer magnificence. Its outstanding quality and unimaginable traveling opportunities makes it further popular. 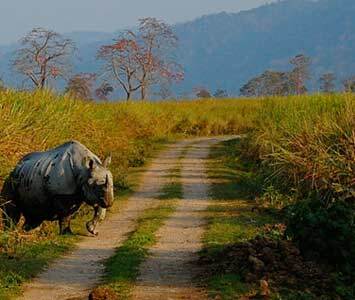 If you wish to know where One Horned Rhinoceros are found in India, it’s in Kazirnaga National Park. 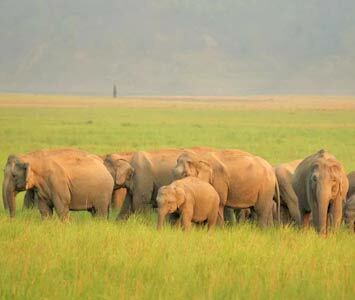 Successfully conserving them with other wild lives in the North East India, the park offers breathtaking views. With an area stretching to 429.93 sq km, Kazirnaga includes forest area, wildlife park, and magnificent facilities for the travelers. If you are on a lookout for the most pristine, quiet and beautiful wildlife experience, Panna National Park fits the bill. The sheer natural beauty of this place is simply irresistible. Situated in the Vindhya Hills, Panna offers breathtaking views like no other place. Right from the dry deciduous forests to grasslands, everything’s just perfect. 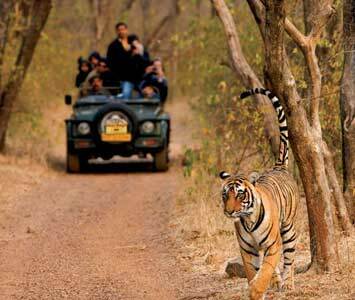 Sariska is the tiger land of Rajasthan, as it is popularly known. 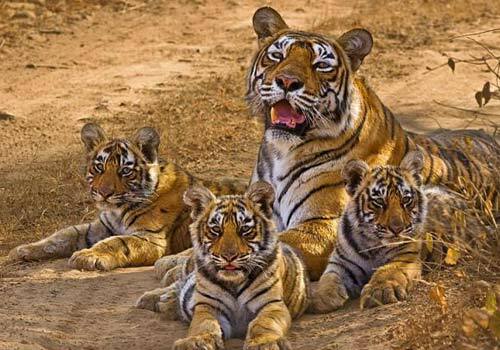 Brought under the Project tiger in 1979, it is one of the prime tiger countries in India. The forest is typical dry deciduous, dramatically changing with the change in season. 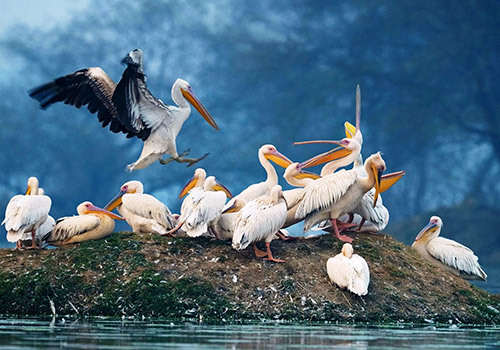 Falling in the category of the finest bird parks in the world, Bharatpur Bird Sanctuary is a magnificent delight for the bird watchers. Not only that, it offers protection to faunal species as well. 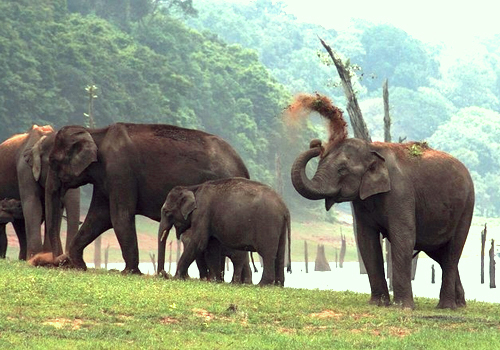 An example of nature’s bounty, Periyar Tiger Reserve is known for great scenic charm and beauty. With rich bio diversity providing the visitor every reason to be joyous, it falls in the category of the most revered places.